To quote the team, the NDSU dance team is rebuilt and reloaded this year! 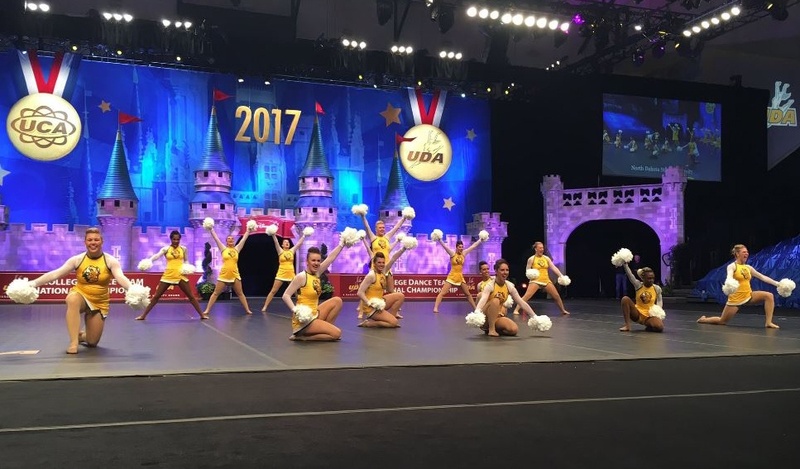 Fresh off a 4th place D1 finish at 2017 UDA Collegiate Nationals this past weekend, the team's coach Meghan Wabner and choreographers Anna and Carsen at TRIBE 99 gave us the scoop on their performance! This is the first season that the team's coach, Meghan, is back! Meghan was the coach for NDSU when they won three back to back D1 Pom National Championships. With a change in leadership, came a change in the dance team - they are almost completely made up of new members this year! "She is really working towards building the "Bison Way" and is doing a fabulous job," said TRIBE. "She had a ton of newbies and for how young they are, they did an incredible job in pom at Nationals." To fit with the spirit of the young, fresh team, Tribe 99 chose upbeat music: Bills, America's Sweetheart, Let's Go, to name a few. "Because they were a younger team, we wanted the music to reflect and play upon that," TRIBE explained. 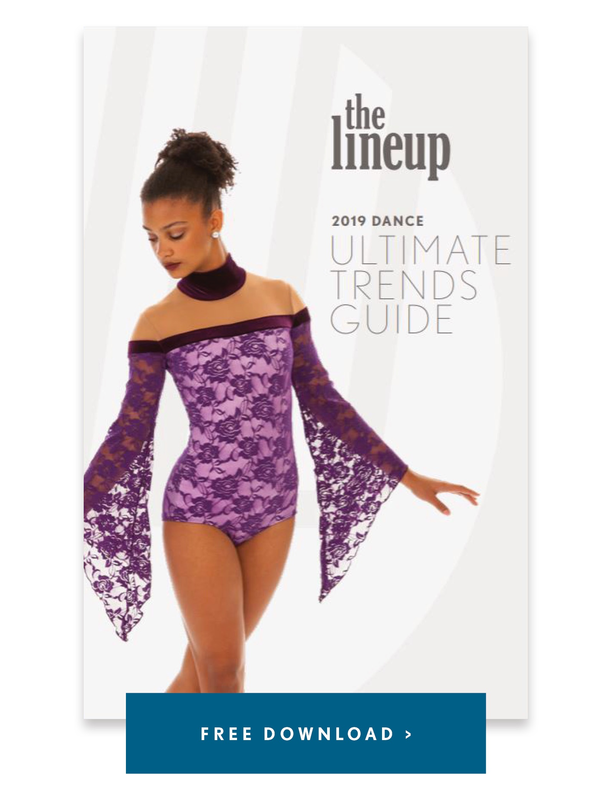 The team's costume also played upon the music: the beginning of their pom music started with a very collegiate "N-D-S-U" voiceover as the team faced the back, so they knew they wanted an NDSU lettering on the back of the uniform! 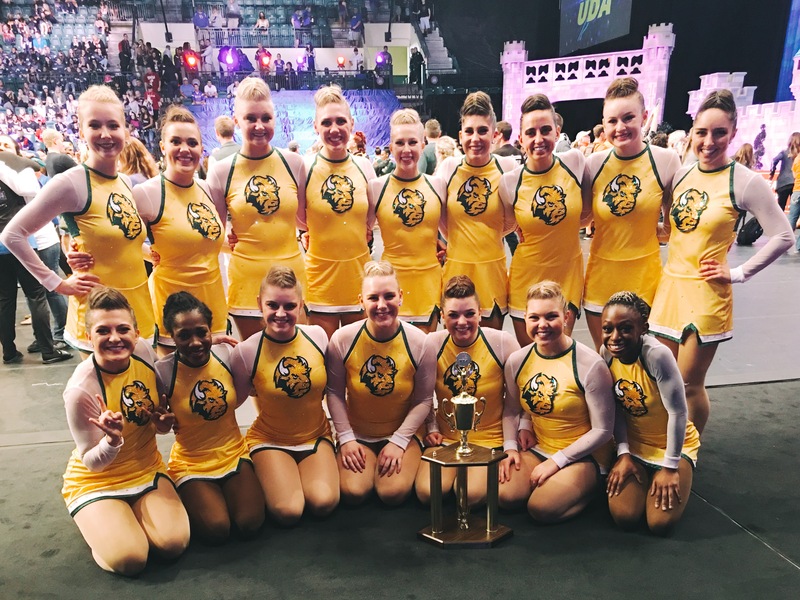 The school's bold yellow makes up the body of their custom pom uniforms, and mesh sleeves and the Bison logo gave their classic collegiate look a fresh spin. "We used a yellow base so our Pom uniforms would pop on stage!" Meghan said. "We received positive feedback from judges that they really enjoyed the yellow color on stage!" One of their favorite moments of their routine? When the ladies did a toe touch over their teammates! Check out the Q &A below to find out more from Meghan and TRIBE on this impressive move! Meghan of NDSU: The 16-17 Bison Dance Team was almost an entirely new team. We had some movement with our program and brought back our previous coach and alumna to coach the team. Only one returning dancer worked with our previous coach. Three other dancers were on the team previously, all other dancers were new to the team and most new to Pom! Meghan of NDSU: We had an awesome mix made by a DJ that Tribe99 uses! TRIBE: Because they were a younger team, we wanted the music to reflect that and play upon that. We chose fun and upbeat song selections (Bills, America's Sweetheart, Let's Go, etc). On top of that, because they are such a strong program, we wanted to open with something very collegiate and the NDSU voiceover felt appropriate. What was your favorite moment in your routine? How have you trained for your routine? 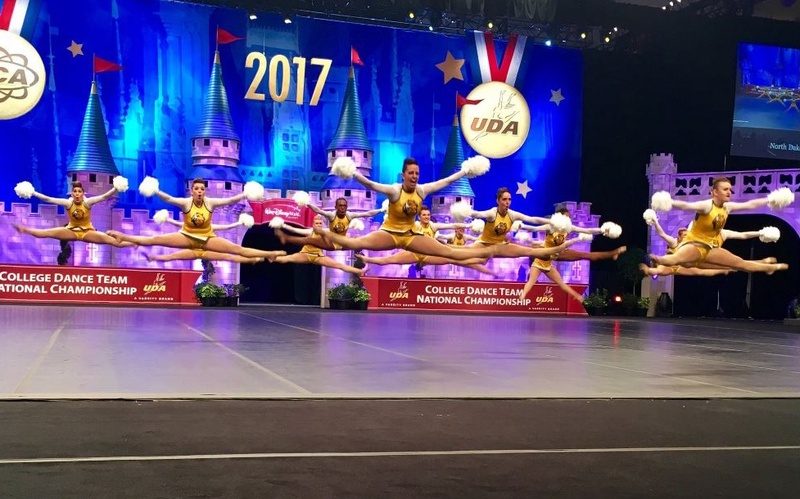 Meghan of NDSU: One highlight of our Pom routine is where half of the team did a toe touch over one of their teammates, landing over them as they laid down during their jump. We had a few injuries and plenty of falls along the way but after a practice of rehearsing the move step-by-step with their partner we got it down confidently! TRIBE: I would hands down agree. Carsen and I tried this a million times in the hotel lobby to make sure it would work before setting it on NDSU. We had a few falls, and NDSU had a few falls, but they nailed the trick in finals which was SO exciting to watch. The girls faces all lit up and it was rewarding to see! Meghan of NDSU: Similar to above, one of the biggest challenges of our season was that we were all so new to each other! We made a point to see ourselves as 'reloaded' not rebuilding! The Bison are back and stronger than ever! Meghan of NDSU: Nothing beats dancing on the nationals floor for finals! Walking out of the castle and doing what you've trained for months to do leaves the entire team with such a sense of accomplishment! Looking ahead to your team's next season? Check out our Imagination Kit: A Costume Planner to help you get started! !